QWOP! The game from Foddy that opened up the ragdoll physics genera to the concept that there actually can be a game element tied into a genera that was best known for seeing how many different ways you can make someone fall down stairs ala Plink-o style. So, I introduce the QWOP sub-genera. A genera that is based heavily on rag doll physics, with direct interaction from the user, throughout the entire experience. The QWOP genera is best known for an highly demanding and frustrating control system with specific keys controlling only certain elements or nodes of your avatar. This results in a drunken stooper around whatever objectives the game tossed at you. Once known to be confined to obscure Flash gaming sites and Greenlight hopefuls, the QWOP genera have grown to hold its own as a commercial product found at Steam and GOG.com. The following is the short list of some of the better games found in this genera, all which are similar to QWOP (games like QWOP). QWOP (2008)- The original Flash based game that open us up to the world of playable rag doll physics. You control the want-a-be Olympian Qwop who signed up for the 100m run. Once reserved for Jamacians in the bobsled, Qwop disasterly strives to cross a finish line. Controls Q,W,O, and P are used to move only the thighs and calves of Qwop. 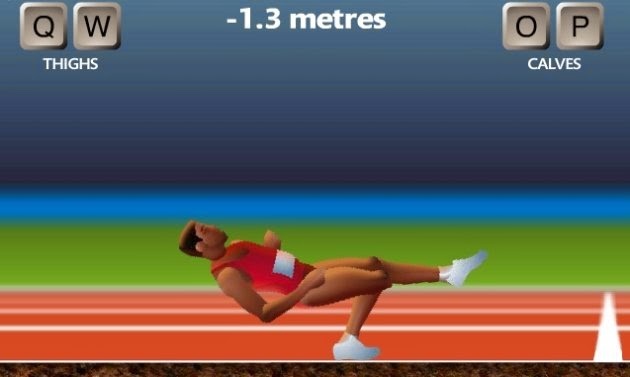 QWOP has since seen mobile and multiplayer (2QWOP) success. 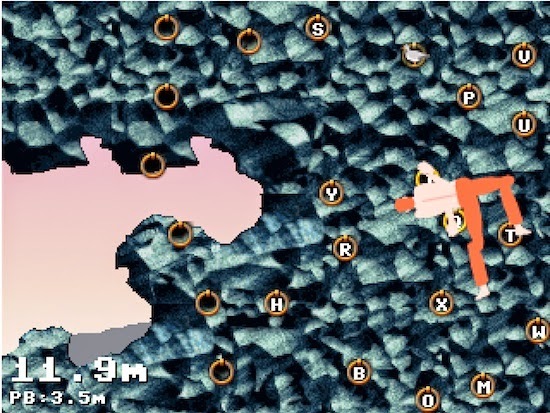 GIRP (2010) - From the maker of QWOP, GIRP challenges players to scale a cliff-side while batting off birds and a rising tide. Keyboard is bound to rings on the cliff-side creating a finger twister element, as you flail to reach the top. 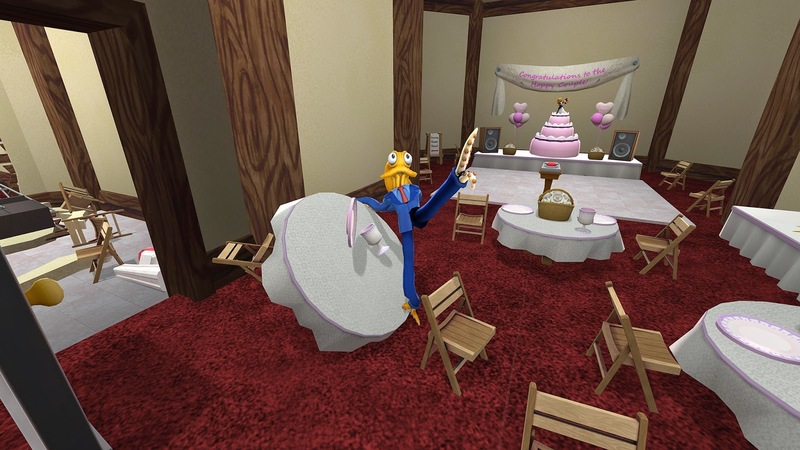 Octodad (2010) - A student project that was released as freeware, Octodad takes the genera to a higher level of gaming territory, where you now have to complete mini object-oriented tasks while stumbling around, breaking all in your way, with the wacky controls and physics. And there's plot too. You are an octopus, posing as a human with a wife and kids. Just another ordinary day in the suburbs. Each key controls a particular tentacle while the mouse controls direction. Octodad became such a hit, it later got a sequel (Octodad: Deadliest Catch - 2014) , which adds optional local coop mode, where 2 people control the same character for a whole new story. Octo:DC was one of the first games to be featured on Steam Greenlight and funded via Kickstarter. 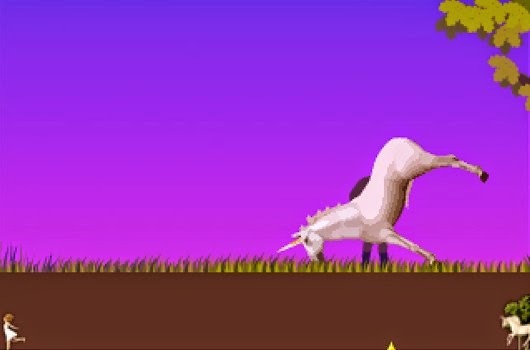 CLOP (2012) - Another Flash game from Foddy. CLOP resembles the original QWOP, only you're a horse trying to get up a hill to get to a virgin. Well, nobody said this was supposed to be a serious genera. 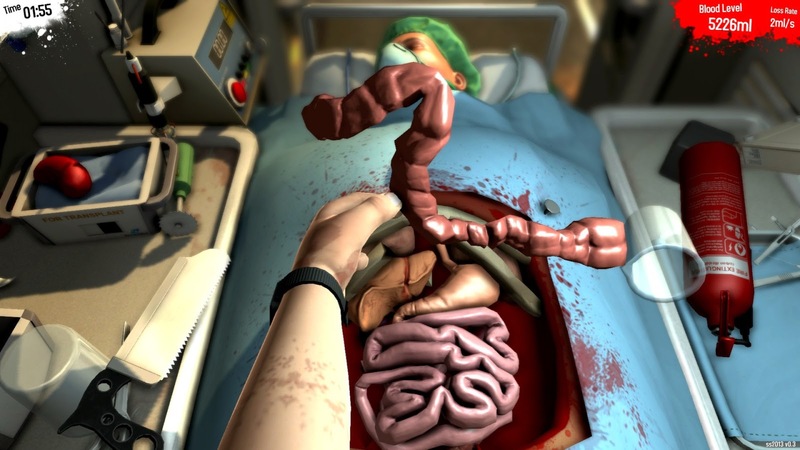 Surgeon Simulator (2013) - Finally a surgery simulator, truly a serious topic for a serious genera. Originally created during a 48 hour game jam-session, indie developers kept it going for a true commercial release. You are tasked with performing surgery on a patient from a 1st person prospective, with a limited amount of tools. Once again you will be battling the control system. In this case, you have the mouse controlling your arm, while each key controls a specific finger. Later releases include sci-fi elements, Team Fortress characters, and a mobile version. Mount Your Friends (2014) - Perhaps a step back to its roots, it does exhibit continued interest. This Steam game is very similar to GIRP, with a twist. Instead of rock, you are climbing past competitors. Its a bit like watching high school cheerleader practices, but uglier. OVERRIDE (2015) - Override is a game that puts you and 3 others into a Voltron simulator. Yes, this means each player would get a limb to control while trying to save the world. As if trying to get your own right hand to work with the left was hard enough, good luck trying to get others to wok this way. Although only local, this would mark the beginnings of the genera moving to multiplayer/coop. 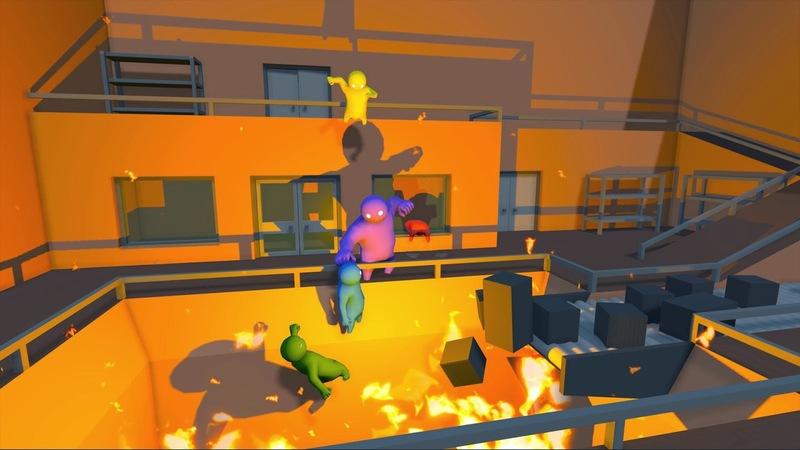 Gang Beasts (2015) - The spin, its multiplayer PvP. Multiple arenas with their own twists of hazards. This game has been made incredibly popular by gamer video blogs. Just in case your worried the QWOP genera has gone too serious with it money making storylines and high end graphics; this Danish team revisits CLOP with more legs. Translation "Horse at a Party", or QWERTYUIASDFGHJK. Viscera Cleanup Detail & Goat Simulator - While these seems like a QWOP game due to its dizzying physics and goofy themes, they have a more traditional control system, removing them from the list. Now you're essentially prepared to play games. It's actively designed to allow you to become famous in game for numerous things. It's a game about a dummy which you need to get to the peak of a giant rock. You might not know whether a game is acceptable for the child's age level before you truly inspect it at the store, so make certain to have some titles to pick from. It is among the toughest game ever played. Unblocked games have gotten popular recently. It's knowing what's happening almost live that allows the many games to evolve. It's additionally a new sort of role playing' game at which you will behave as the sort of character you are interested in being.